Is there any better hiking partner than a dog? We’ve put together a list of dog-friendly trails near Halifax so you can enjoy these wild places with your best friend at your heels. These trails encompass classic Nova Scotian landscapes, including desolate rocky plateaus, striking coastlines and red-wine-tinted lakes. So tie up your boots, pack some doggie treats and a few poop bags, and get hiking! Note: Unless otherwise stated at the trailhead, please keep your dog on leash. This is for both the safety of the environment and for the safety of your dog. Recently redeveloped by the Nova Scotian rock-climbing community, the trail to the Crow’s Nest is freshly cut and open to intrepid humans and animals looking for a challenging and rewarding hike into some of the most wild terrain available near Halifax. Skirting two lakes, a waterfall and several impressive rock faces, the trail leads you to the Crow’s Nest, a clifftop vantage that affords wide-open views of the Atlantic and the surrounding rocky landscape. How do I get to the trailhead? Follow Route 333 out of Halifax and take the turnoff for Terence Bay. Take a right onto River Road and look for the small parking area near the second lake (Little Lake). Duncan’s Cove is a classic Halifax hike—and for good reason. Home to crumbling submarine look-out towers, impressive coastal rock formations and some of the best sunset views, it’s a perfect out-and-back trail for hikers looking to have salty wind toss their hair and crushing waves cradle their thoughts. With plenty of wide open space, it’s also a paradise for our four-legged friends who need to expend some energy. How do I get to the trailhead? Take the 4th exit at the Armdale Rotary and follow to Route 349 toward Ketch Harbour. Turn Left onto Chebucto Head Road and follow to the parking lot Duncan’s Cove. Don’t be alarmed by the total distance: the Bluff trail is divided into four separate loops, each offering unique views and experiences. Each loop takes about three to four hours to complete. Located within the vast bog-lands of the interior near Halifax, the Bluff is famous for making you feel like you’re thousands of kilometres away from the city, even though the trailhead is only 20 kilometres from downtown. The Bluff is an all-season favourite of dog-owners. How do I get to the trailhead? Follow the St. Margaret’s Bay road toward the community of Timberlea. The trailhead is located at civic number 2890. This short loop is perfect for hikers looking to get outside with their dogs and take in some beautiful lake views. Susie’s Lake is a swimmer's dream, with countless bays and coves to relax in and lots of rocks to jump off of. Located close to downtown, this hike is ideal for those seeking nature without a lot of time. How do I get to the trailhead? Follow Highway 102 out of Halifax and take the exit for Bayer’s Lake/Lacewood Drive. Turn left onto Lacewood Drive and park at the Kent Building Supplies store. Park in the gravel area closest to the road as to not disturb the business. The trailhead is located behind the store. Halifax’s favourite swimming hole and outdoor relaxation area is perfect for hikers and dogs alike. There are many trails to enjoy, all within reach of the same parking area. The park is home to thick forests, an incredible hidden waterfall and the best swimming around. Bring your pooch and follow your senses! How do I get to the trailhead? : Follow St. Margaret’s Bay Road from the Armdale Rotary. There’s a small parking lot on your left just before the road leading to Exhibition Park. Situated just 2 km from Peggy’s Cove, Nova Scotia’s busiest tourist attraction, Polly’s Cove is just as beautiful (and you’ll probably be the only one there). Dramatic rock faces plunge into the crashing sea. This trail is rugged but perfect for exploring with a four-legged friend. How do I get to the trailhead? : Follow Route 333 toward Peggy’s Cove. Two kilometres before the turnoff for Peggy’s Cove, turn left into a small gravel parking lot. Taylor Head is a long, narrow peninsula that juts out from the heart of the Eastern shore. Home to pristine white sand beaches and lowland bogs, the peninsula is an isolated paradise just waiting to be explored. The Headland Trail is the longest of a series of connected loops. If you’re interested in a shorter adventure, turn at any of the well-signed intersections and follow the loop back to the parking area. How do I get to the trailhead? : Follow Highway 7 toward Sheet Harbour and turn right at the sign for Taylor Head Provincial Park. Parking is well signed. Crystal Crescent beach is a local favourite, but instead of lounging on the white sand, we suggest you follow the trail past the beach and just keep going. After the third beach, the trail becomes much more rugged and requires careful navigation. Follow the coast all the way to Pennant Point, where incredible ocean vistas await. If you have a dog that really needs to burn off some energy, this is the hike for you! How do I get to the trailhead? : Take the Old Sambro Road to Highway 349. Follow signs for Sambro and Crystal Crescent Beach. Park in the second parking lot. McNabs Island is a special place. Reachable only by boat (private operators run frequently), the island is a pristine wilderness area dotted with hidden gems throughout a network of over 22 kilometres of hiking trails. You'll come across abandoned bunkers coated in greenery and a Victorian garden that still sits where it was planted years ago. How do I get to the trailhead? : Private ferry operators each have their own departure point. For a current schedule, contact them directly. Sorrow’s End is a locally famous rock climbing destination that just might be the prettiest cliff in Nova Scotia. Sitting on the shore of Shellbird Lake, the clifftop offers 360-degree views of Lower Prospect. The hike meanders through low bogs and marshes and can be wet, but the landscape is otherworldly, and the views at the end are well worth wet feet. How do I get to the trailhead? : Follow route 333 out of Halifax and take the turnoff for Terence Bay. Turn right on Nice View Drive and follow to the end where an ATV trail veers off to the right. More of a beach adventure than a hike, Conrad’s Beach has a broad reach of sand, perfect for dogs and humans alike. The main beach stretches flat from the footpath, but around the left point is where it’s really at. Turn the corner and find yourself in a paradisiacal dune-scape just waiting to be explored. Watch kite-surfers soar or have a dip in the sun-warmed waters. How do I get to the trailhead? : Follow Route 207 from Halifax, just before you reach the community of Lawrencetown, turn right onto Conrad’s Road. Follow to the parking lot at the end. 186 steps down into the bottom of the gorge bring you to a striking waterfall and access to some of the rarest plant species in the province. The lowland forest here is unlike elsewhere in the area. Keep an eye out for lady slippers, a wild orchid, and a protected species in Nova Scotia. How do I get to the trailhead? : Follow Highway 2 from Truro towards Parrsboro. In the community of Economy, turn right onto River Philip Road and follow for seven kilometres until you reach the parking area. Part of a network of loop trails throughout the Gully Lake Wilderness Area, the eponymously named trail is the crown jewel of the area. Lush forest, hilly terrain and total silence await around Gully Lake, a rarely accessible example of Nova Scotia’s interior highland region. Bring plenty of water, a snack and prepare for a long day in the woods. How do I get to the trailhead? : Follow Route 311 from Truro toward Tatamagouche. Turn right onto Kemptown Road and continue until you see a well-signed gravel parking lot. Jutting out into the Atlantic on the far side of one of the prettiest stretches of sand in the province is Gaff Point. Starting in a thick wooded grove, the trail quickly turns into an exposed trek along dramatic sea cliffs. Side-trails take you to sandy coves and picturesque headlands. How do I get to the trailhead? : Follow Route 332 from Lunenburg and turn towards Kingsburg. Follow signs for Hirtle’s Beach. The trailhead is at the far right of the beach. The name isn’t a lie: this is a place where it's easy to get lost. But the adventure is part of the fun. Known locally as a top bouldering destination, this wide field of glacial destruction is strewn with oddly placed boulders and picturesque nooks perfect for relaxing. Myriad trails snake through the blueberry bramble and rock field leading to endless exploration. How do I get to the trailhead? 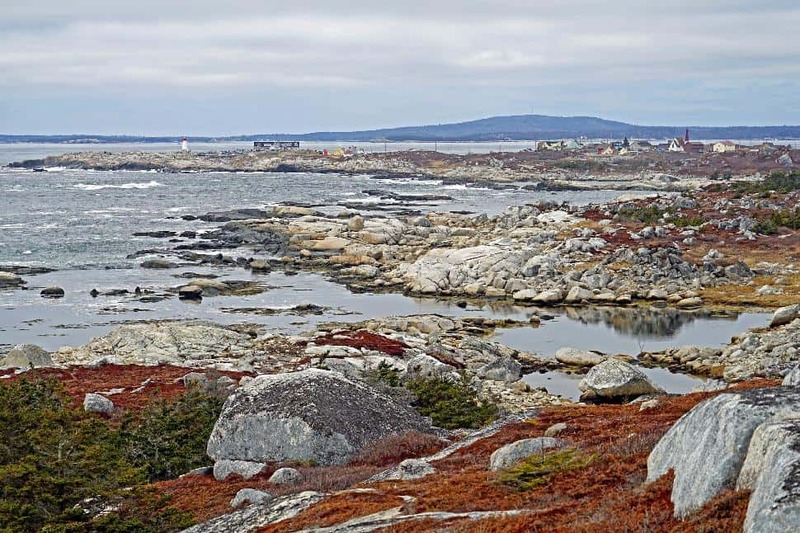 : Follow Route 333 out of Halifax toward Peggy’s Cove, and look for a gravel pull-off just after the turn for Peggy’s Cove. Where is your favourite place to hike with your pup? P.S. 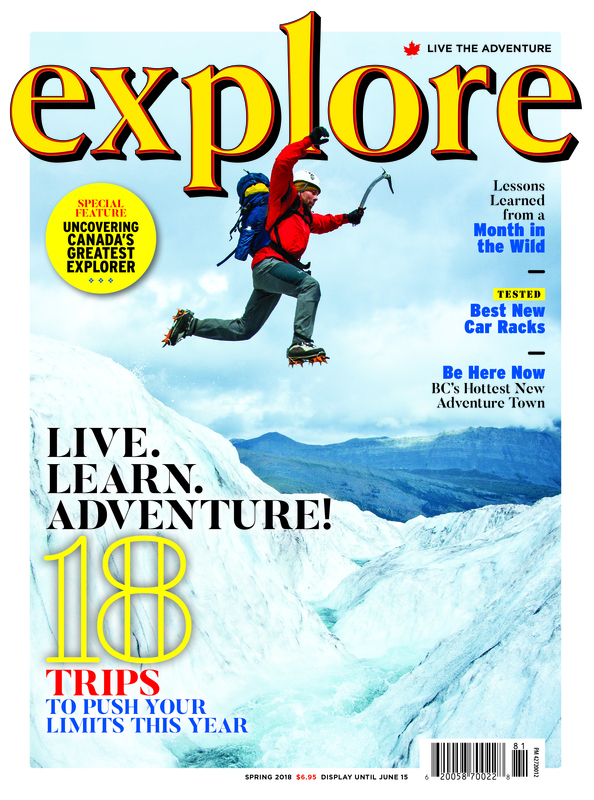 Do you want to be challenged to explore more? 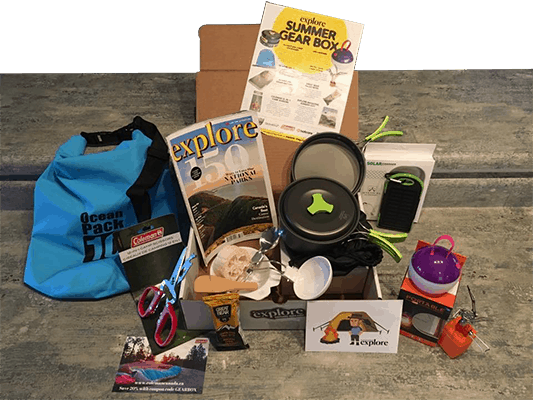 Join our Facebook community of 1,500+ explorers across North America in our Adventure Challenge Club! 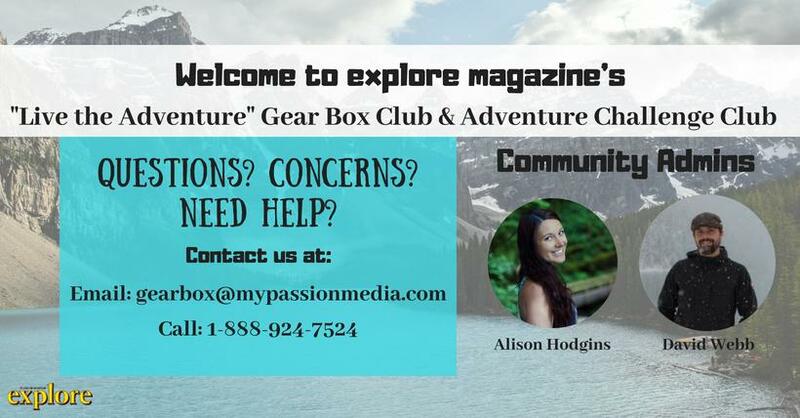 Receive daily adventure inspiration, weekly challenges, monthly Live videos with experts and more!